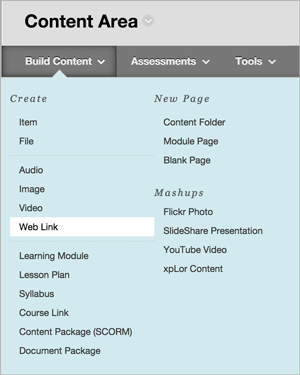 To use edX course content in the Blackboard LMS, you add a new app to the course and then add external tool module items. In Blackboard, select your course. From the course control panel, select Customizations. In the Tool Availability section, verify that the LTI tool has been enabled. Open a Content Area page, and from the Build Content menu select Web Link. 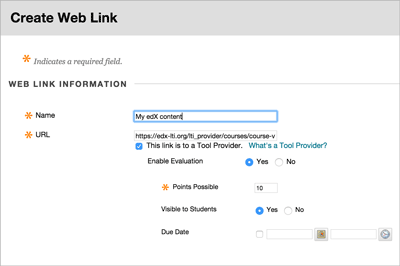 On the Create Web Link page, enter an identifying name and the URL for the edX content you want to include. 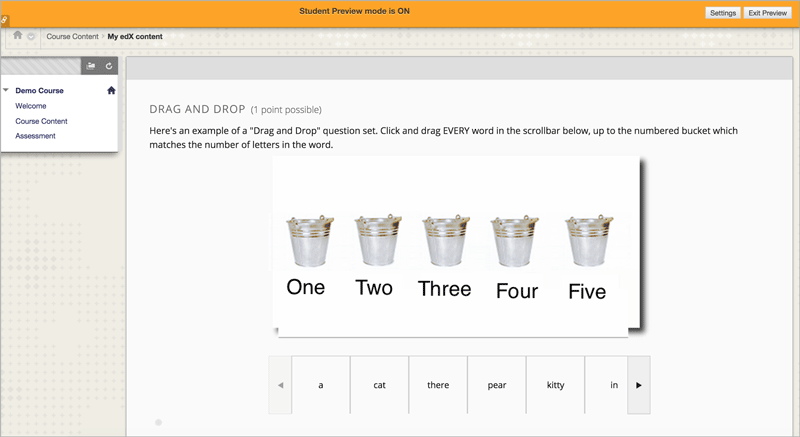 The URL is the LTI URL that you determined for the edX course content, such as https://edx-lti.org/lti_provider/courses/course-v1:edX+DemoX+2014/block-1:edX+DemoX+Demo_Course+type@problem+block@d2e35c1d294b4ba0b3b1048615605d2a.